Although considered to be the most joyful period of life, a new study shows that, for many couples, having a first child may turn out to be a worse experience than getting divorced or being unemployed, leading to a strong decline in happiness. Research published in the Demography Journal on August 4, which was conducted by German and Canadian scientists, shows that the impact of a new baby on the parents’ lives might be so severe that it could alter their views on family and make them think twice about having another child. The new study aims to explain recent demographic patterns indicating low birth rates in developed countries. It demonstrates that psychological factors affect parents’ perceived level of happiness after the birth of the first child, which may be a critical factor for the future size of the family. The researchers tried to gain insight into the disparity between how many children people claim they want to have, and how many kids they actually end up having. The study sought an explanation for the sustained low fertility rates in countries like Germany (1.5 children per woman over the last 40 years) or Great Britain (2 children per woman in 1971, compared to only 1.7 in 2013). According to the study, the birth of a first child has a “devastating effect” on a couple’s well-being, causing a significant drop in the level of self-reported happiness, which is particularly strong among parents who are older or have higher educations. This decline in happiness after the first child eventually leads to parents being less likely to have a second. “Fertility is a choice for most people in the developed world … If the transition to parenthood is very difficult or more difficult than expected, then people may choose to remain at parity,” the researchers wrote in their study. The scientists analyzed data from a German annual national survey called the German Socio-Economic Panel Study (SOEP), in which up to 20,000 people take part each year by rating their general satisfaction with life from 0 (totally dissatisfied) to 10 (absolutely satisfied). This drop in perceived happiness turns out to be larger than that experienced during major negative life events such as divorce, which causes a 0.6 unit drop, or unemployment and the death of a partner, which each lead to a 1 unit drop. Parents’ experience and feelings after the birth of their first child are important and understudied factors in defining family size, which should be taken into account when formulating demography policy, claims the research led by Rachel Margolis, a sociology researcher at the University of Western Ontario in Canada, and Mikko Myrskylä, director of the Max Planck Institute for Demographic Research in Germany. “Parents' experience with and after the first birth help predict how large the family will be eventually,” said Mikko Myrskylä. 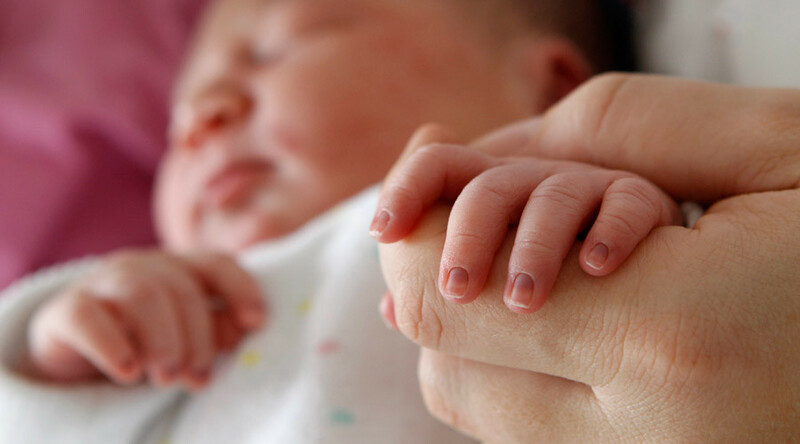 “Politicians concerned about low birthrates should pay attention to the well-being of new parents around and after the birth of their first child,” the researchers added in the paper. The researchers discovered that factors predetermining the loss of happiness and influencing further decisions to have more children fall into three categories. Finally, “the continuous and intense nature of child-rearing” was named as the most significant negative issue for new parenthood, with many couples reporting various kinds of stress such as “exhaustion, trouble breast-feeding, sleep deprivation, depression, domestic isolation and relationship breakdown,” alongside financial worries. As a result, when comparing their post-birth lives to their pre-birth lives, many families feel a strong decline in happiness during the first and the second year of parenthood. Although the average decline in rates of perceived happiness appears to be grave, in reality, things don’t seem to be quite as bad, as only 17 percent of the study’s respondents reported a severe three-unit drop in happiness after having a baby, while 19 percent experienced a two-unit drop, and 37 percent only perceived a one-unit drop. On a positive note, 30 percent of new parents said they had felt no drop in happiness or were even happier than before the birth. Additionally, the study showed that more than half (58 percent) of even those reporting a three-unit drop in happiness after their first birth, nevertheless had a second child within two years. “Among parents who did not feel a reduction in happiness, 66 out of 100 couples had another baby,” Rachel Margolis said. According to the study, a significant problem resides in the fact, that discussing the challenges faced by new parents is still taboo in modern society. This, in turn, leads to the isolation of the new family, which has to deal with all the problems on their own. “It is considered taboo for new parents to say negative things about a new child,” the researchers say in their study. The idea of tackling this taboo is also supported by NGOs that provide help and support for new families. “The birth of a child, especially the first, is a huge change in people’s lives and can mean new pressures for parents. In the first few weeks and months, it is really important that parents who need extra support get it. But, it’s also important that parents know there is help out there and that it’s OK to ask for it,” Vivien Waterfield from the Home-Start UK charity, which helps parents via a network of volunteers, told The Independent.